Here it is ladies and gentlemen, the apps that most people will swear that they cannot live without. These apps have become ubiquitous with Android and if you’re looking for good stuff it’s assumed that you have this stuff already. Without further delay, here are the top 5 Android apps currently available! We live in a digital world, but many of us have boxes full of printed photos that don’t exist on a hard drive anywhere, because they were taken before that was possible. 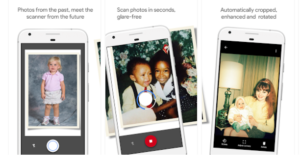 Photo Scan is a new scanner app from Google Photos that lets you scan and save your favourite printed photos using your phone’s camera. This does more than just taking a photo of your photo, because it also eliminates glare, automatically crops and enhances the image, and ensures the edges are straight.You won’t always get perfect results first time, and in some cases a little bit of detail is lost, but this is a quick, easy and generally high-quality way to digitize your photo collection. Get glare-free scans with an easy step-by-step capture flow. Automatic cropping based on edge detection. Straight, rectangular scans with perspective correction. 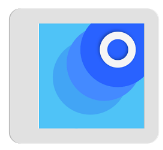 Smart rotation, so your photos stay the right way up, no matter which way you scan them. Safe and searchable with Google Photos. Meditation apps are meant, among other things, to relax and de-stress us, but if you’re anything like us they run the risk of doing the opposite, becoming chores that we feel guilty for neglecting. Simple Habit doesn’t completely solve that problem, but it gets some way there, by offering short 5-minute meditations, that you can easily fit in at any point during your day. 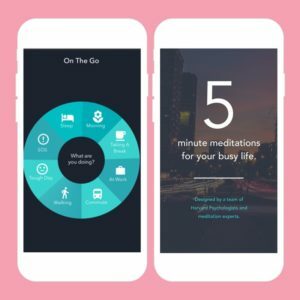 The rest of the app is as you’d expect, with meditations designed around specific life circumstances, goals or moods, and a simple interface that doesn’t get in the way. Simple Habit makes it easy to build a lifelong habit of mindfulness. 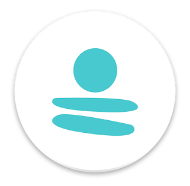 Designed by a Harvard psychologist, our meditations are guided by the world’s best teachers, from mindfulness experts at Google to former monks. Featured in Tech Crunch, Business Insider and Forbes as an award-winning meditation app in 2016. Only 5-minutes per day to improve your life. Short, breathing exercises anywhere you go. Remixlive is a great music maker for people who don’t know how to make music. 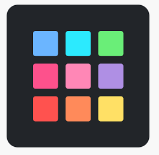 It provides you with a grid of pads (24 on mobile, 48 on phablets and tablets), each of which contains a sample, with different grids fitting a particular style of music. 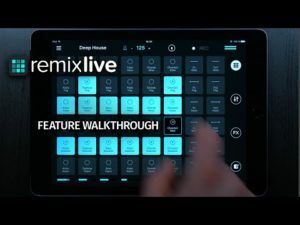 Remixlive is also good software for those who know how to make music, as you can create your own samples, either by recording sounds with your device’s microphone or importing them. You can control levels, change the tempo and record and export your tracks too, with most of these features are hidden behind IAP as are most of the pre-built samples. But if you’re only interested in certain features you shouldn’t have to spend much to get them, and you get three grids included for free, with three more available for no charge via in-app purchase. Control levels, filters, Mute and Solo on each channel. Professional-sounding three-band EQ on each channel (phablet & tablet only). Multiple Mode: play several pads per column simultaneously. Share your recordings via email & SoundCloud, or open them in other apps. Record any sound or voice through the device’s mic or from​ any Android-compatible microphone or sound card. Load, move and duplicate any sample, anywhere on the grid. Search all samples or browse samples by category: Packs, Loops, Sounds or User. There’s a lot to like about Kitchen Stories and that starts with the look, which got an award from Google for doing such a good job of implementing Material Design. 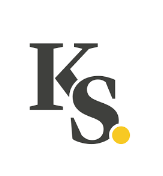 loved by millions of users, Kitchen Stories adds the whole world of cooking to your pocket. 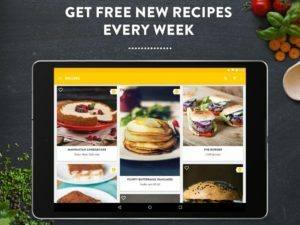 Find delicious recipes with beautiful pictures, easy to follow step-by-step photo instructions, recipe videos, and clever how-to videos Packed full of high quality images and easily digestible text, it’s the sort of app you’re happy to spend time in, hunting out recipes. Which is good, because recipes is something it has a lot of. These are split into categories, like ‘vegetarian’, ‘beef’ and ‘comfort food’, so you can easily find relevant dishes, and when you do you can save them to in-app cookbooks, so you don’t lose them.With a shopping list feature built in too, plus video guides for everything from preparing a cake pan to making vegan shortcake, Kitchen Stories is the only app a budding chef needs. 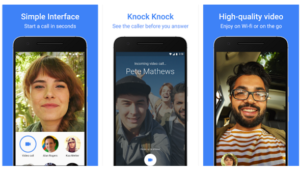 Google Duo is an app which may soon be a household name, or could fade into relative obscurity like Google+, because much as Google’s struggling social network tried to take on the might of Facebook, Google Duo is attempting to overthrow FaceTime and Skype. Duo is a one-to-one video calling app for everyone – designed to be simple, reliable and fun, so you never miss a moment. It’s a free one-to-one video calling app, but it has some neat features to help it stand out, such as ‘Knock Knock’, which lets you see a live video feed of the caller before answering.It sports end-to-end encryption and also works on both Android and iOS, giving it one up on FaceTime. 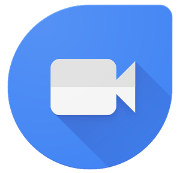 Of course none of that matters if no one uses it, but Google Duo doesn’t require you to set up an account, it simply needs your phone number, like WhatsApp, so hopefully the barrier for entry will be low enough that it becomes a hit. See the caller before you answer with Duo’s live preview feature. That’s it Ladies and gentlemen, don’t forget to update these applications from play store to get more new features and bug fixes. We wish you all Merry Christmas and Happy New Year from whole D8ii Team !